1 – The biggest birding festival in the Midwest starts next week in Iosco County. The 2015 Tawas Point Birding Festival runs from Thursday, May 14, to Sunday, May 17. It’s headquartered at the Tawas Bay Beach Resort in East Tawas. Organizers say the festival offers some of the best birding in the Great Lakes region, and includes tours, workshops and evening events. Tawas Point is well-known for high concentrations of migrating warblers during the month of May. Almost 200 species were recorded during last year’s festival. Earlier this month, a Sunrise Coast Birding Trail was dedicated at three points — in Oscoda, Alpena and Mackinaw City. The new trail is about 150 miles long, beginning at the AuSable River mouth in Oscoda and travelling north to the Mackinac Bridge. The Sunrise Coast Birding Trail connects with the existing Saginaw Bay Birding Trail, which runs 142 miles from Port Austin in the Thumb to East Tawas. 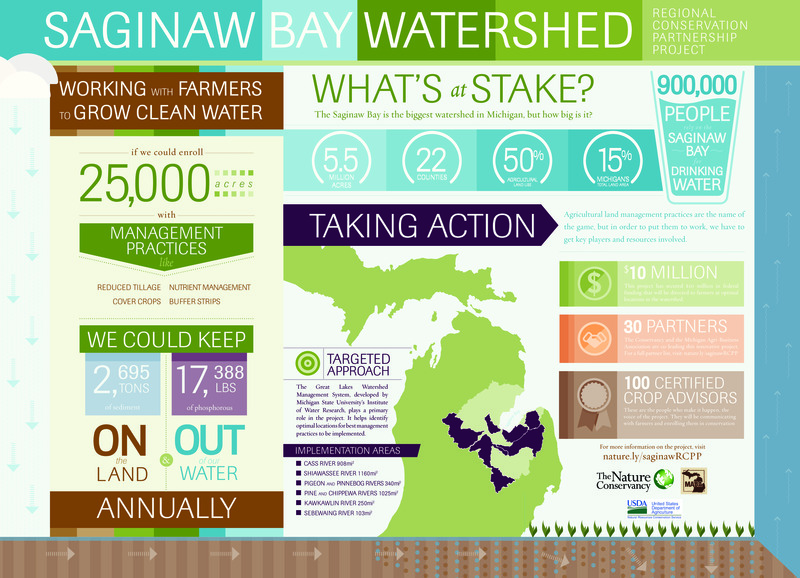 2 – A major water quality initiative kicked off this week in the Saginaw Bay region. Leaders from The Nature Conservancy and Michigan Agri-Business Association announced the project in Lansing, which they say will help farmers and agribusinesses protect and improve Saginaw Bay water quality. Under the new program, certified crop advisers will have new tools to assist Saginaw Bay and Thumb area customers in accessing funding for conservation practices on farms. The Regional Conservation Partnership Program aims to enroll more than 25,000 acres in new agricultural land management practices in the next five years. The effort is expected to keep an estimated 2,500 tons of sediment on the land, and more than 17,000 pounds of phosphorus out of the water. Farmers will be able to sign up this fall. The program is part of a $20 million public and private partnership under the 2014 Farm Bill.